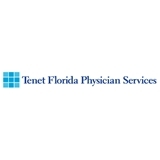 Tenet Florida Physician Services (Lauderdale Lakes) - Book Appointment Online! Dr. Capezzuti is very good listening and getting to know you, so she can make recommendations and discuss what’s best for the issue at hand. She respects my alternative ways of taking care of my health. He's very professional and exudes confidence in his specialization. Dr. Gonzalez is always amazing with our two girls. Especially the baby! The staff is amazing, helpful and sweet. We could not ask for any better.